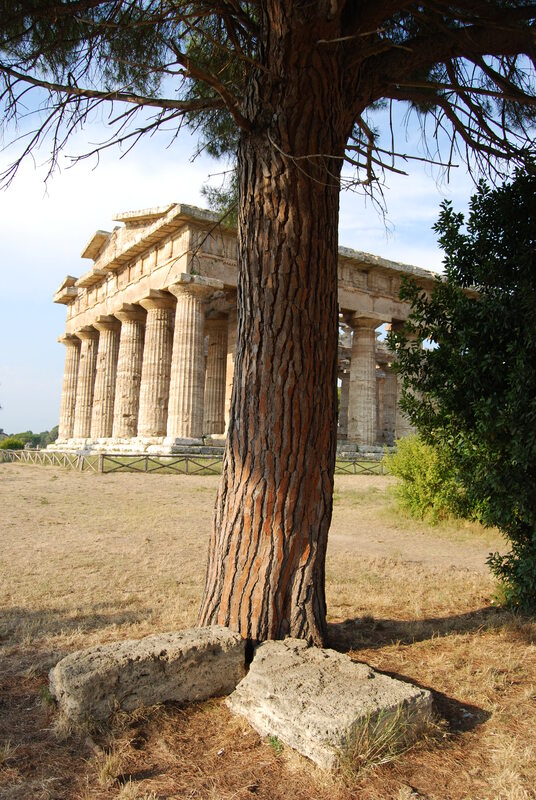 Paestum is an ancient Graeco-Roman city in the Italian Region of Campania. 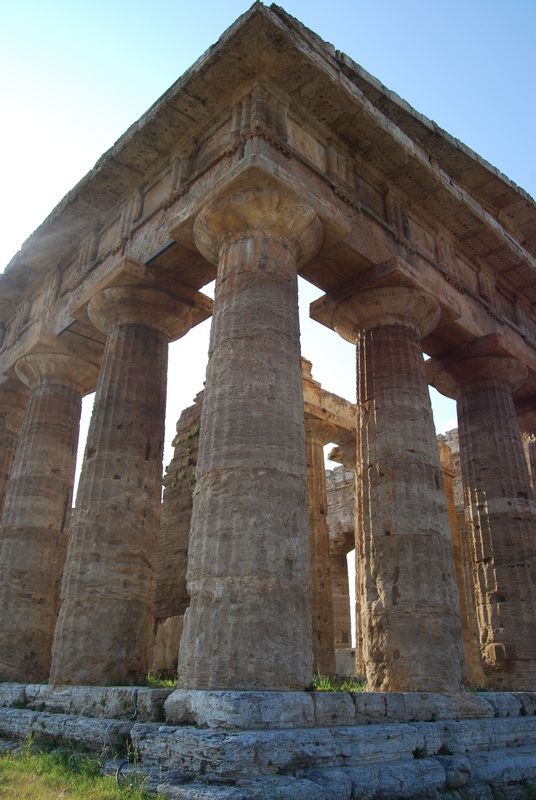 It is located in the Cilento and Valle di Diano National Park, near the Tyrrhenean sea. 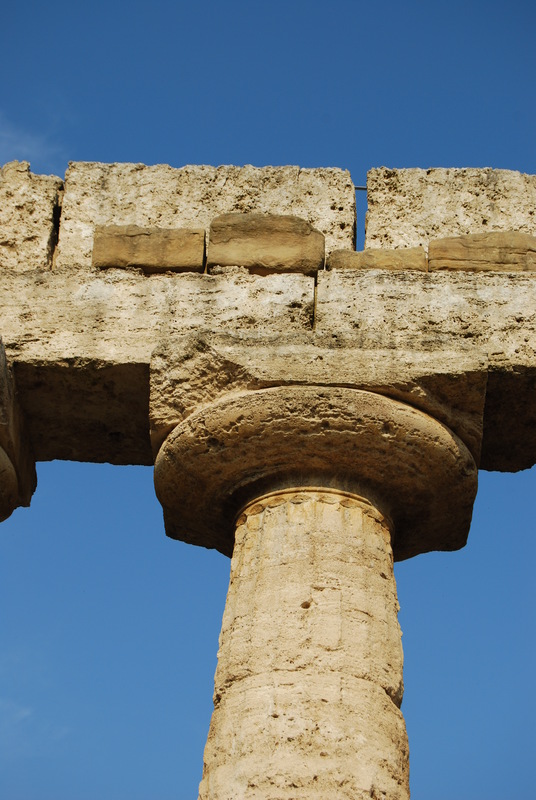 Paestum was founded in 600 B.C. by Greek colonists and its original name was Poseidonia in honor of the Greek’s Sea God, Poseidon. In 273 B.C. 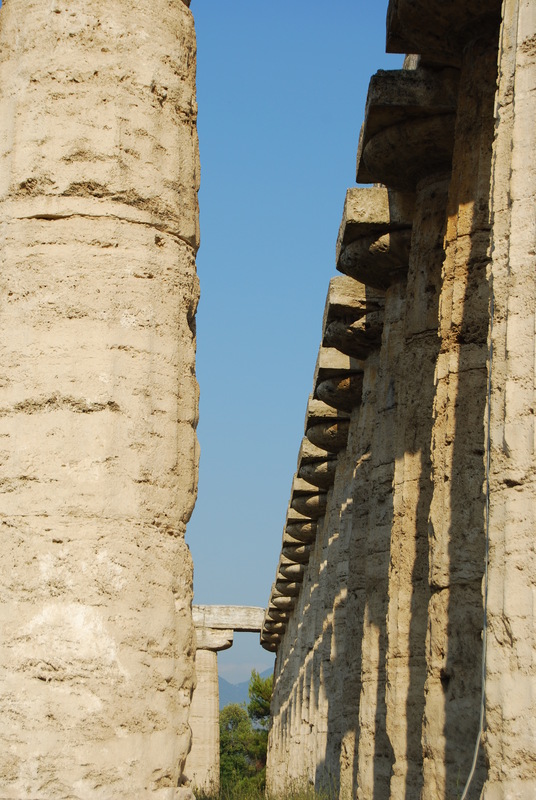 the Romans took possession of the city, and they renamed it to Paestum. In the 9th century, the Saracens’ incursions, along with the mosquitoes infected by malaria, forced the inhabitants to abandon the city that was later buried by swamps caused by the river Sele. 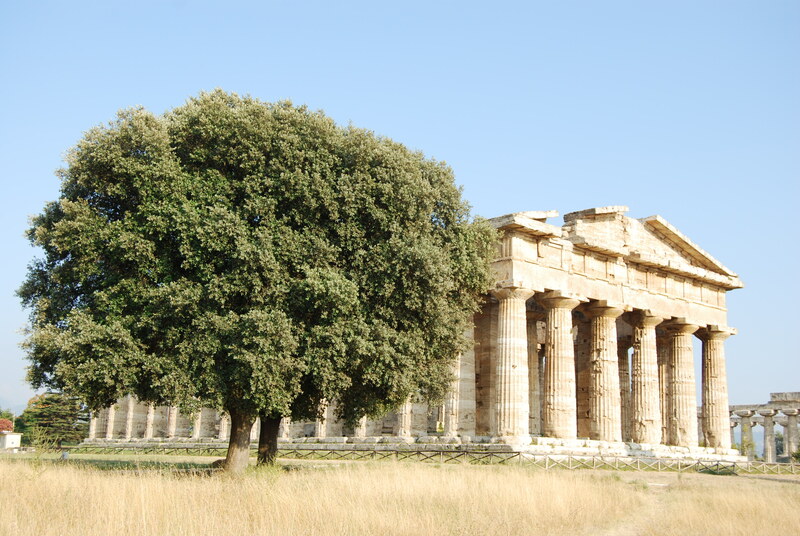 Paestum remained hidden until 1748, when the excavation for the construction of a new road brought to light the well preserved Greek-Roman temples. 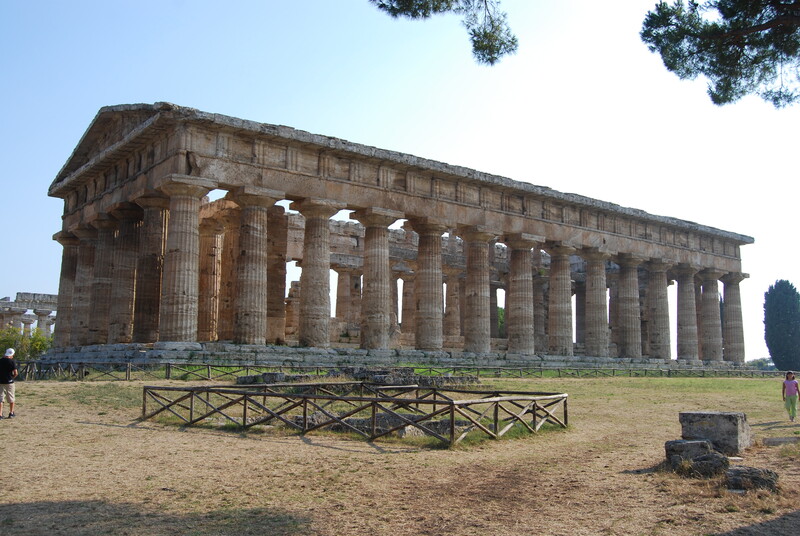 If you visit Paestum you will be astonished by the grandeur of the standing remains of three major temples. 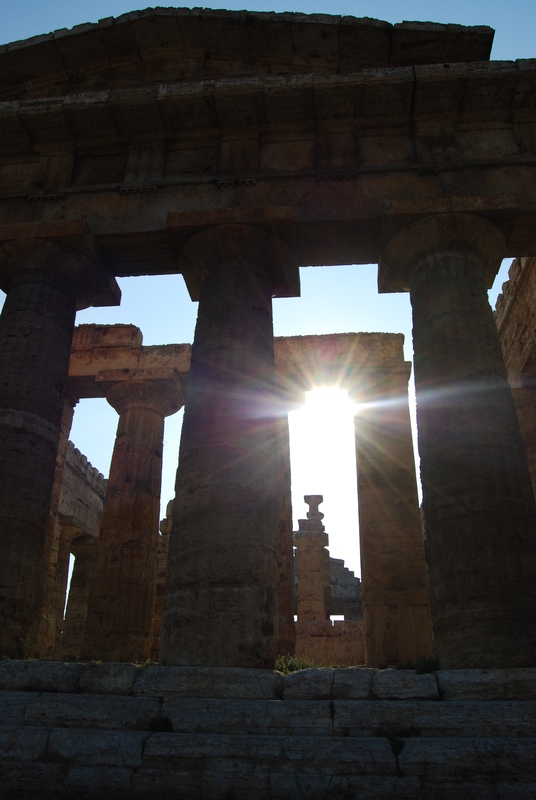 These temples are the best preserved Doric temples in the world, outside of Greece. 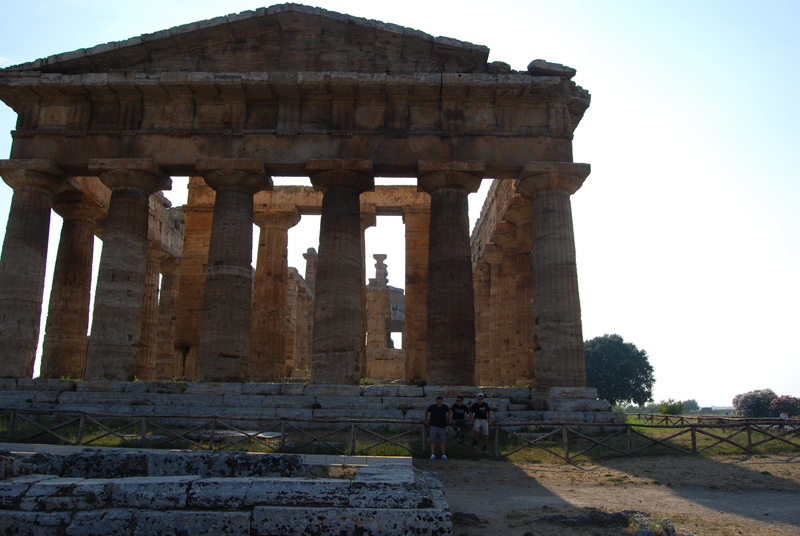 The temples have been traditionally identified as the Basilica and the temples of Neptune and Ceres. In reality, however, they were dedicated to Hera and Athena. In Paestum you will also able to visit the National Archeological Museum of Paestum that documents the evolution and transformation of the city; here, you will be able to admire some architectural and sculptural decoration from the excavation, and the painted slabs of so-called Tomba del Tuffatore (Tomb of the Diver), the sole example of painting of the Greek age of Magna Grecia. 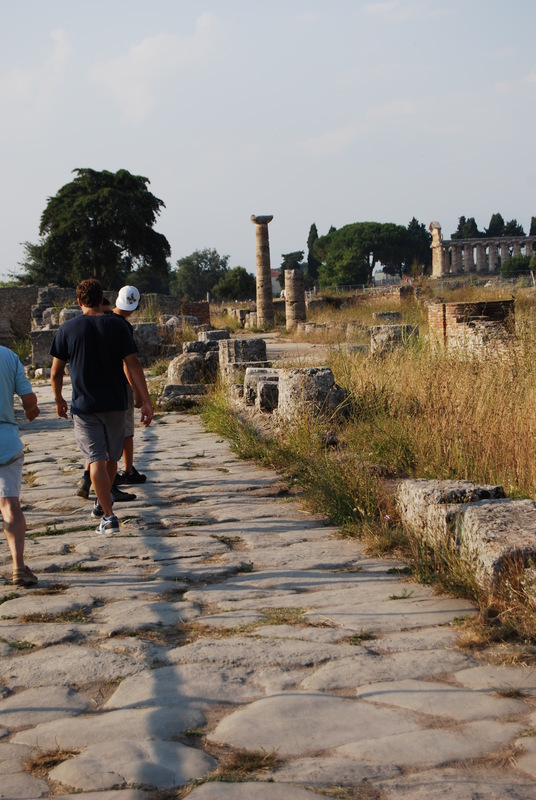 But Paestum is not only an archeological site, on your way to Paestum you will travel along the so called Strade della Mozzarella (Roads of the Mozzarella). It appears that at the beginning of the 9th century AD, the Muslim Arabs introduced the water buffalo in the area. 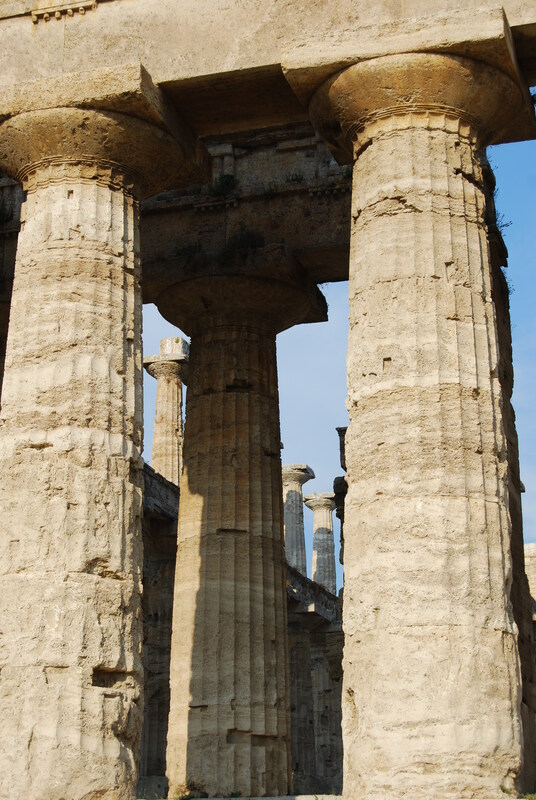 More than 1000 years later, Paestum and the plain of river Sele are home to the tame herds of water buffalo whose milk is used to craft the delicious mozzarella di bufala. Both sides of Route 18 are pullulated with cheese factories where you will be able to savor the freshly made mozzarella and many more specialties, all derived from water buffalo’s milk. Few years ago, on an afternoon trip to Paestum with my family we stopped at one these caseifici (cheese factories) and my youngest son, Mattia, could not stop eating the still warm bocconcini di mozzarella (mini bites). With his mouth full, he kept saying : “ Oh my God, this is the best thing I have ever eaten! “. You would never know until you taste the real thing! 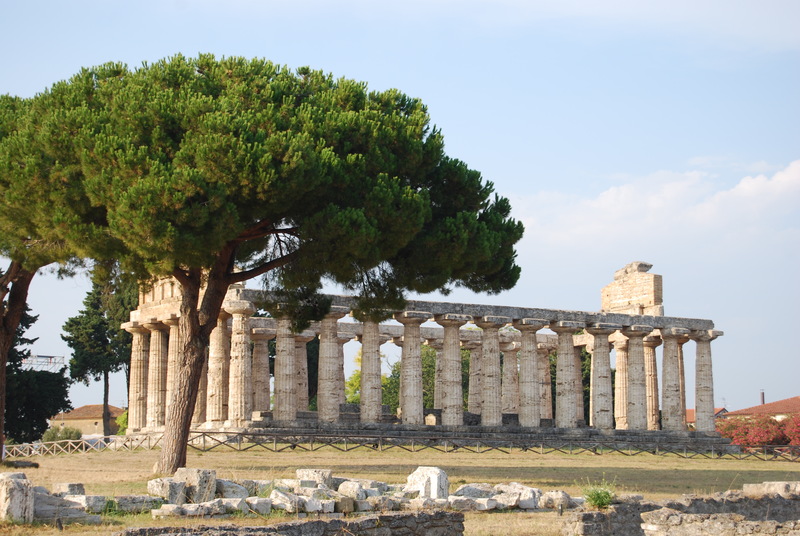 For me Paestum is not just about the magnificent temples or the tasty mozzarella. 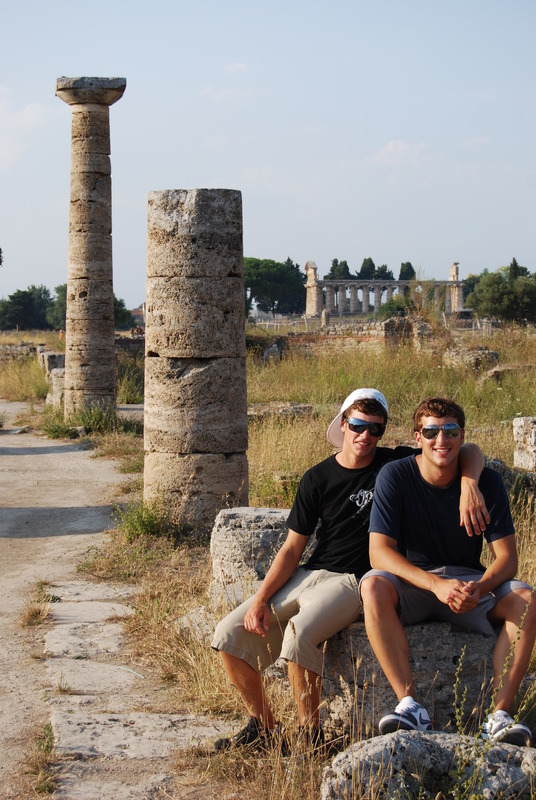 Paestum has a special place in my heart. I have spent most summers of my childhood on the sandy beaches just north of the archeological site. 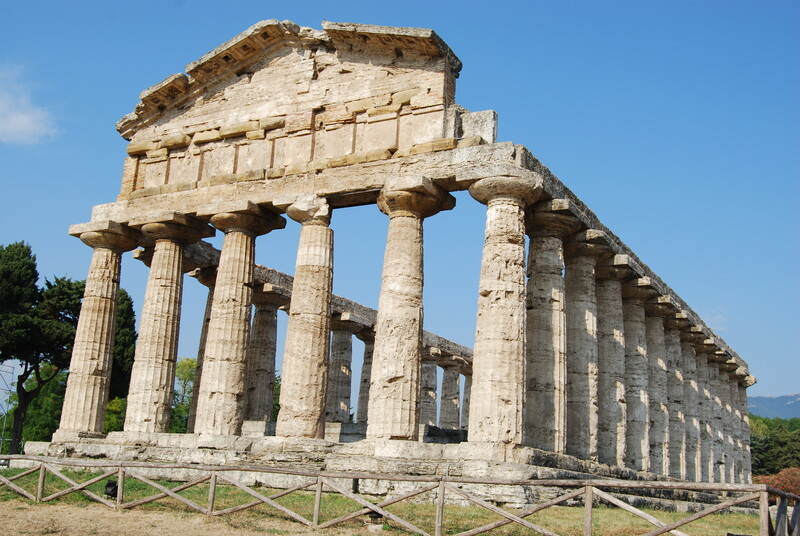 When people ask me why I wanted to be an architect, my mind goes always back to Paestum, to the memory of the temples and to the end of summer when, back home, I used my wooden blocks to recreate the temples. How many beautiful memories I have, the soft and warm sand, the cavalloni (giant swells), the sandcastles, the merry-go-round on the beach, the quiet afternoon on the shaded porch playing with the lizards, the smell of pines from the vast pineta (a large area of pine trees), the foraging for blackberries, the sweet figs, the artichokes’ fields, the bright red tomatoes, the herds of water buffalo in the field along the road and the freshly made mozzarella di bufala (buffalo mozzarella), the gelato at the bar of the lido (bathing establishment), the afternoons horsing around at the Greeks temples, the stairs to the top of the Saracen Tower, the strolls with my big brothers, the lingering fragrance of the gigli di mare (sea lily) growing out of the sand, the color of the oleanders, the waves of velvety ‘piante di sigari’ (cattail), the hours spent learning how to swim, the evening watching my parents dancing under the stars, the fuochi d’artificio (fireworks) to celebrate the Ferragosto, the dark nights brightened by the miryads of fireflies. . . Lately, I also learned that my two wonderful older brothers used their cute little sister (me) to attract all the pretty girls on the beach. I have not memory of that and it seems hard to believe considering how jealous of them I was. . . I remember that! 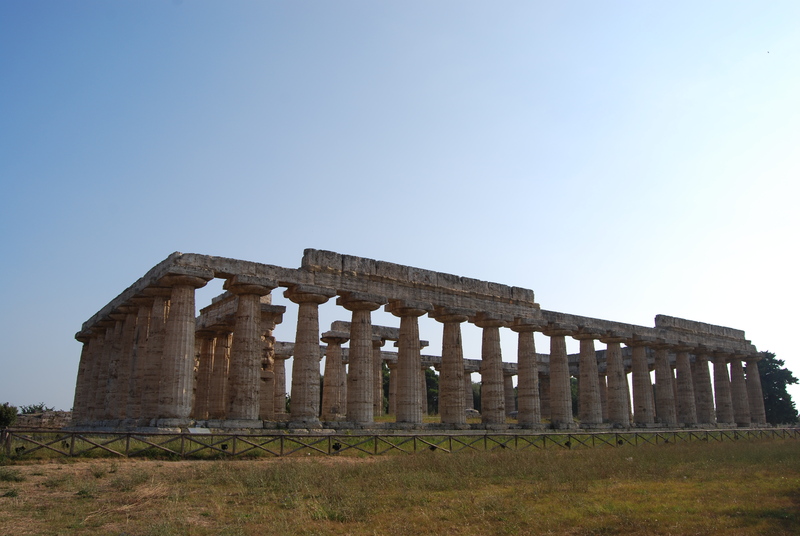 Few years ago, I went back to Paestum with my children because I wanted to share with them this place so special to me, and today I share with you few of the pictures I shot on that lovely afternoon. I hope you will all have a chance to visit this beautiful place.